A Rage for Order tracks the tormented legacy of what was once called the Arab Spring. A Rage for Order tells the story of the 2011 Arab Spring and its slide into autocracy and civil war better than I ever could have imagined its being told. The volume is remarkably slender for one of such drama and scope — beautifully written, Worth’s words scudding easily and gracefully across the pages. It is also a marvel of storytelling, with the chapters conjuring a poignancy fitting for the subject ... Though set amid chaos, Worth’s stories interweave effortlessly, each providing a counterpoint to the others — but softly and gently, without beating the reader over the head. This subtlety is critical in allowing him to capture the complexities of the region ... All great works of fiction are works of great philosophy, pondering the fundamentals of humanity. Few volumes of nonfiction ever achieve this, but Worth’s does, touching essential truths about the human condition. One of the many strengths of Mr. Worth’s book is his gift for finding and telling the small story that illuminates the big picture ... Anyone who claims to know what to do about it all, or where it’s going next, has no more idea than the rest of us. Mr. Worth has the good judgment to focus on some first-class stories pursued over the course of his extraordinary travels. It is our additional good fortune that he writes about it so well. Five years on, Tahrir has the quality of a dream. 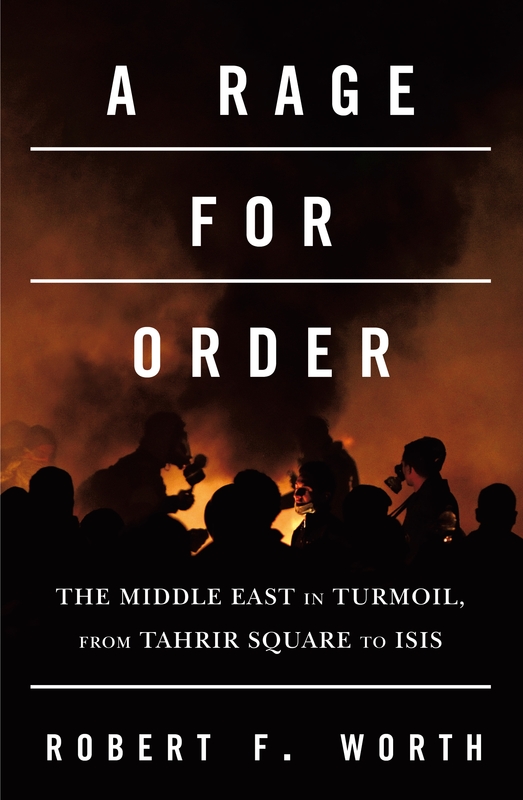 Read Worth’s remarkable new book, A Rage for Order: The Middle East in Turmoil, From Tahrir Square to ISIS, and weep. The chasm between the civic spirit of the square and the brutal theocracy of the Islamic State reveals the extent of the failure. The book is a beautifully written chronicle, told through the struggles of ordinary people, of shattered hopes, lives, families and societies. Worth excavates the personal wounds revelatory of larger betrayals ... Worth does not judge. He reveals. What did you think of A Rage for Order: The Middle East in Turmoil, from Tahrir Square to ISIS?